Persimmon, also known as the ‘Divine Fruit’ due to its scientific name of Greek origin, is found during autumn. While there are various varieties of this fruit being cultivated, the popular one is the Chinese native, Diospyros kaki, widely known as the Japanese persimmon. There are some best benefits of persimmon fruit. The brilliant orange colored skinned fruit that shares a close resemblance with tomato in appearance, in fact, is a berry. 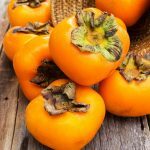 What Is A Persimmon Fruit? A low-calorie fruit, it is available in astringent and non-astringent variants, and can be relished raw or dried. It is also used in preparing a variety of dishes, including puddings. Rich with quite a lot of minerals such as phosphorous and calcium and vitamins including vitamin A and C, this low-calorie fruit comes with some wonderful benefits. Read on to know more about the health benefits offered by persimmon, also known as ‘Tendu’ (Hindi) in detail. 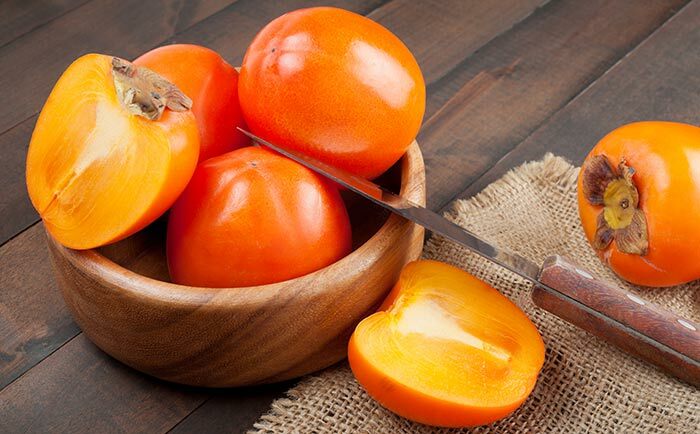 check out here some of the best persimmon benefits for health. A medium sized fruit weighs around 168 grams and offers just 31 grams of carbohydrates. The fruit has hardly any fat in it. These two factors make it an ideal friend for those who wish to snack on while trying to shed those extra pounds! The fruit is a rich reserve of assorted phytochemicals – catechins and polyphenolic antioxidants. Catechin is a powerful anti-inflammatory and anti-infective agent. Thus, it could aid in warding off unwanted inflammatory reactions and infections. 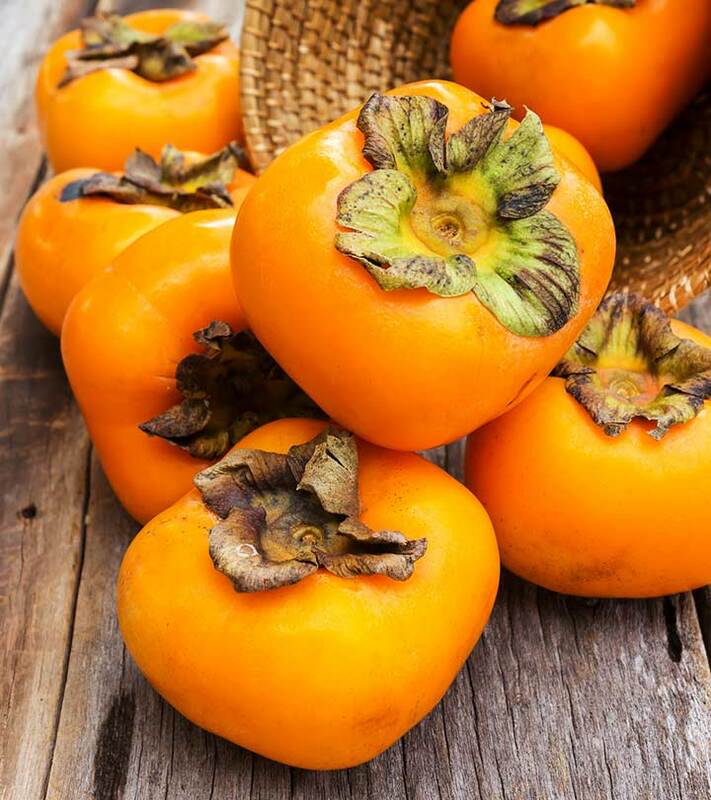 Japanese persimmon is known to possess anti-hemorrhagic properties. No wonder it has been used in controlling excessive bleeding from wounds since time immemorial. Fibers, as you know, are essential for good bowel movements. Regular use of this fiber-rich fruit can help alleviate bowel movement related issues, thus paving the way for maintaining a healthy digestive system. Tannins, present in persimmons, regulate the intestinal movement, thus offering relief from diarrhea. This, in turn, helps in keeping the digestive system healthy. Those who suffer from diabetes are prone to hunger cravings, and that too quite often. Being rich in fibers, this fruit can be relished by diabetics to curb the hunger levels. The fruit is also known to regulate the level of sugar in the blood. Sodium, when included excessively in diet, can trigger hypertension. Persimmon is known to possess low levels of sodium. Hence, it can be used as a part of a balanced low-sodium diet designed for those who have hypertension. Being a good source of Vitamin C, the fruit, when used regularly in your balanced diet, can help in strengthening the immunity levels. Thus, it acts as a shield against common cold, flu, as well as various lung infections, including asthma. Being a rich source of antioxidants, this fruit helps in curtailing the free radicals. These, otherwise, can damage cells and trigger cancer. The presence of vitamin A, as well as shibuol and betulinic acid, enriches the cancer-combating properties of this fruit. Persimmon contains vitamin A in significant amounts. 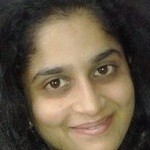 And, it is an established fact that vitamin A has the potential to improve vision. Copper, present in this fruit, helps in proper iron absorption. This, in turn, helps in the production of red blood cells. Japanese persimmon is widely used by Chinese medical practitioners in the treatment of hiccups. Persimmon is rich in antioxidants, which scavenge the harmful oxygen-derived free radicals in our body. It also reduces the effect of toxic materials and prevents cell damage. This eventually results in a detoxified body and a healthy liver. Persimmon juice is considered a natural energizer due to its high potassium and sugar content. Consumption of a glass of persimmon juice can give us instant energy for performing any power-packed activity. It is a good choice for relieving exhaustion and stress. Persimmon is an amazing source of phytochemicals including polyphenolic antioxidants and catechins. These contribute to the anti-inflammatory property of the fruit, which eventually helps in preventing the attacks of infectious diseases. Take 2-3 large and fresh persimmons. Clean and wash them thoroughly under cold running water. Take a clean towel or tissue paper and pat dry the berries nicely. If there is any stem or leaf attached with the persimmons, remove them gently. Then, cut them into two halves with the help of a sharp knife. Also, deseed the pieces carefully by using a small spoon. If you wish, you can also peel the persimmons off before cutting and juicing. Now, put the persimmon pieces into a blender. Add half cup water to it. Blend well so that you get a smooth juice of medium consistency. If you want a thicker drink, simply skip the water and blend the raw persimmon pieces into pulp. After that, transfer it to a sieve and extract the juice into a bowl by pressing it either with your fingers or with a spoon. Your fresh and nutritious persimmon juice is ready. So, this was about persimmon fruit benefits. Are you ready to be healthier? Persimmon juice is truly a gift of nature. Use it to be healthy, happy, and fit! Low in carbohydrates, fat, and sodium, this fruit comes with lots of good properties. Reap the persimmon health benefits right away! Hope you liked our post on benefits of persimmon. Do mention your comments below.